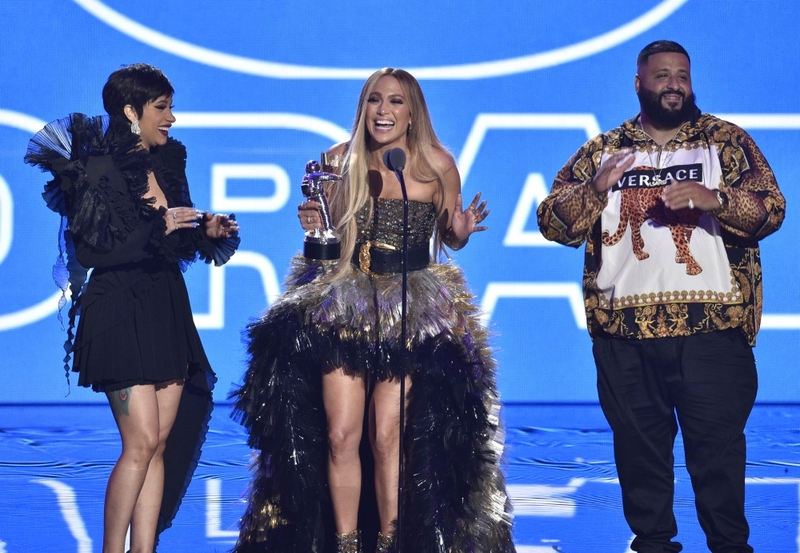 Jennifer Lopez dedicated her Video Vanguard Award win at the MTV Video Music Awards (VMAs) on Monday to her children. The 49-year-old singer became the first Latin artist to bag the highest honour at the glitzy award ceremony at New York's Radio City Hall, and used her speech to credit her 10-year-old twins Max and Emme - whom she has with her ex husband Marc Anthony - for making her feel "stronger and better than ever". "And I liked it that way for a while, just working and working and working. But it wasn't until I had two little angels come into my life that everything changed. I knew I had to be better, I knew I had to go higher, I knew I had to be stronger than I had been before. It was through that unconditional love that my career and my whole life became clearer in every way. And now, today, I stand here stronger and better than ever. So thank you Max and Emme, there's so much more to do and I know in my heart that the future is even brighter than anything I could've accomplished now because of you." The 'Shades of Blue' star also gave a special shoutout to her boyfriend Alex Rodriguez, whom she dubbed as her "twin soul". She added: "Alex. You're like my twin soul, we're mirror images of one another. My life is sweeter and better with you in it because you make me realise every day the sky is not the limit, the universe is infinite, and so is what we can accomplish together with love and trust and understanding. There's so much more to experience, and there's no-one I'd rather do it with." Before picking up her gong, Jennifer wowed crowds with a medley of her greatest hits, including 'Waiting For Tonight', 'On The Floor', 'Ain't Your Mama', 'Love Don't Cost A Thing', 'Get Right', 'All I Have', and 'Jenny From The Block'. Camila Cabello scooped up the two biggest prizes at the MTV Video Music Awards (VMAs) on Monday. The 21-year-old singer was one of the big winners at the glitzy award ceremony at Radio City Music Hall in New York, as she managed to take home the coveted Video of the Year award for her hit single 'Havana', as well as being crowned Artist of the Year. Speaking after her win for Video of the Year - which was handed to her by Madonna - Camila said: "My hands are literally shaking. I am never going to forget this moment ever in my life. Madonna, I love you so so much, I've seen every single music video of yours, I've seen every single documentary of yours, you've inspired me so much. For that reason, this is a surreal moment and I love you, seriously. I can't believe it. "Video of the Year, wow. Thank you so much all of my fans for voting. I want to thank Dave Myers for being an incredible director and collaborator, and for putting up with me blowing up his phone every time we make a music video. "I wanna thank the amazing choreographers on this music video, I wanna thank all the amazing actors in the video, I wanna thank my family who inspired this music video, I wanna thank my fans again, and honestly I dedicate this to Madonna. Thank you!" Elsewhere in the evening, Childish Gambino - which is the musical alter ego of actor Donald Glover - was another big winner with three wins for his single 'This Is America', including Video with a Message, Best Direction, and Best Choreography. 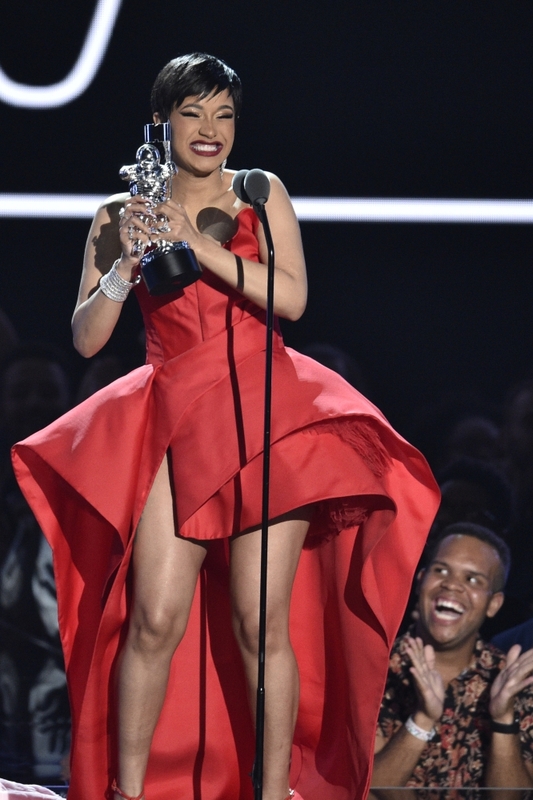 Cardi B - who made her first appearance since giving birth to her daughter Kulture last month - also took home multiple gongs, after being named Best New Artist, as well as her track 'I Like It' with Bad Bunny and J Balvin winning Song of Summer, and her collaborative effort 'Dinero' with Jennifer Lopez and DJ Khaled being awarded Best Collaboration. 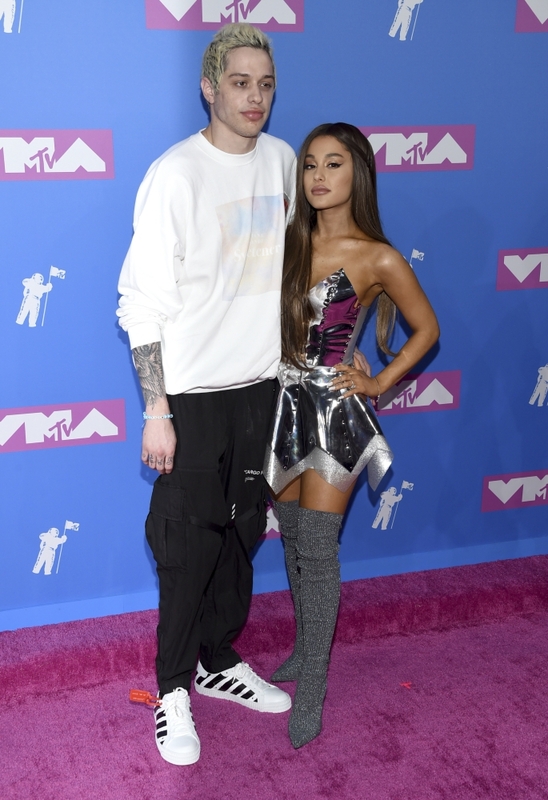 Nicki Minaj's 'Chun Li' was given Best Hip Hop Video, whilst Ariana Grande won Best Pop Video for 'No Tears Left To Cry', and Imagine Dragons' track 'Whatever It Takes' picked up Best Rock Video.